Cob Carlson grew up in Fairfield, CT and attended Fairfield Prep High School. He caddied at Brooklawn Country Club, and worked for the Town Recreation Department. He did his student teaching on the Navaho Indian Reservation, where he also coached basketball. Upon graduation from college, he taught in the Hartford Public School System. He received a Master's Degree in Education from University of Hartford. Cob has also been an Adjunct Professor at Emerson College and Eastern Connecticut State where he has taught Film Production and Film Editing. Cob has an extensive background in athletics. 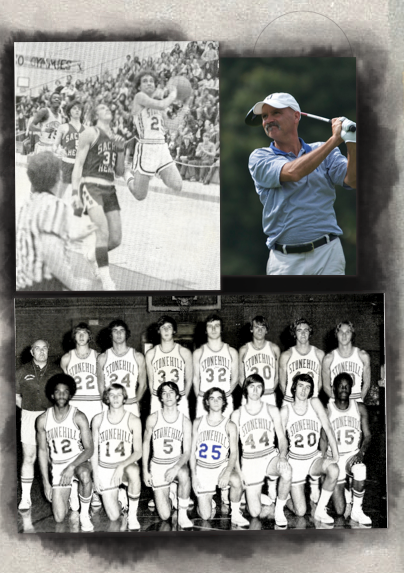 He attended Stonehill College on a basketball scholarship and continued to play the game, over the years, in a variety of competitive leagues. He was a physical education director, organized sports leagues, and officiated many sports. He coached basketball at the junior high and high school level. Cob is an avid bicyclist and ocean swimmer, and formerly competed in short course triathlons. Golf has been one of his main passions for quite some time. He currently plays to a 3 handicap and participates in local, state and national tournaments. He has worked as a volunteer for the Massachusetts Golf Association, teaching golf to inner city youth. He is the golf coach for Bristol Community College.